It seems that HMD Global is trying its best to regain the lost position of Nokia after taking over the brand from Microsoft. At first they released 3 new Smartphones and the legendary Nokia 3310 to penetrate into the market. Then it revealed the flagship of the brand, the Nokia 8 to offer something to the premium users as well as to avail device options for people with all kinds of budgets. Now, they have come up with another phone, Nokia 7 which falls somewhere in between Nokia 6 and 8. That means it is premium but not on par with the 8 but also isn’t completely a budget or a lower mid-range phone. People looking to buy mid-rangers can look for this option. 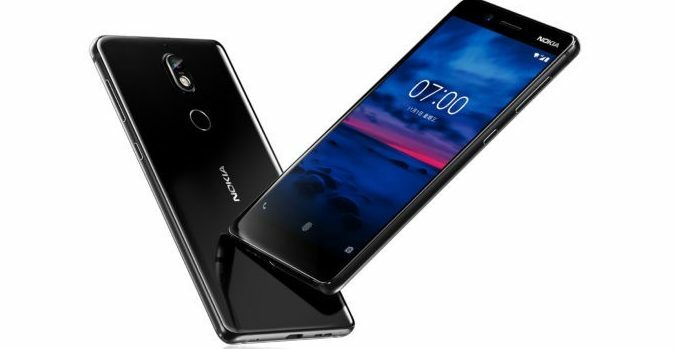 Two days back, in China HMD Global announced the new Nokia 7. The phone tries to be a premium device by following the design of the 8 but uses aluminum frame and vacuum molded back made of Corning Gorilla Glass instead of going all metal. The display is a 5.2 inch 1080p IPS LCD Gorilla Glass following the design of the Nokia 8. The phone is powered by Qualcomm Snapdragon 630 processor which should be able to run almost all kinds of applications and games smoothly. It will be available in two variants of 4GB RAM and 6GB RAM for multi-tasking and will have 64GB of onboard storage on both variants. It also supports Micro SD card slot expandable up to 128GB for additional storage. Nokia 7 will come with Android 7.1.1 Nougat out of the box which is a little unsatisfactory. Considering the reputation of the brand, it should have come with Android 8 out of the box. The phone will have 16MP f/1.8 aperture Carl Zeiss lens on the rear camera and a 5MP f/2.0 aperture on the front. It will be able to capture 4K HD video at 30fps on the rear cam. The phone will come with the ‘bothie’ option which lets users capture photos or videos using the front and rear camera at once. Besides these, it will have others features like GPS, NFC. One of the best thing is that it will come with Bluetooth 5.0 which means one can easily connect with two devices using the Bluetooth function. It seems that the phone is trying to catch up with modern day devices by using USB type C but also trying to keep the users happy by keeping the headphone jack option. A 3000 mAH battery will power the phone which should be able to last a whole day for an average user. It will be splash proof as it has an IP54 rating.